Hints Google has signed on as a customer. Pipe Networks today launched its PPC-1 cable after a twenty month journey that saw the company threatened by competing carriers. In officially declaring the cable "live" Pipe Network's CEO Bevan Slattery said the new cable, initially planned to deliver 1.92 terabits of total bandwidth between Sydney and Guam, would now deliver speeds at an even greater capacity than originally planned. "Because of the quality of the system and the way it was designed and ... engineered, Tyco have actually been fantastic in ... certifying our system for ... 2.56 terabits in total," Slattery said. Slattery added that Pipe Networks currently had four customers signed on to the new cable. 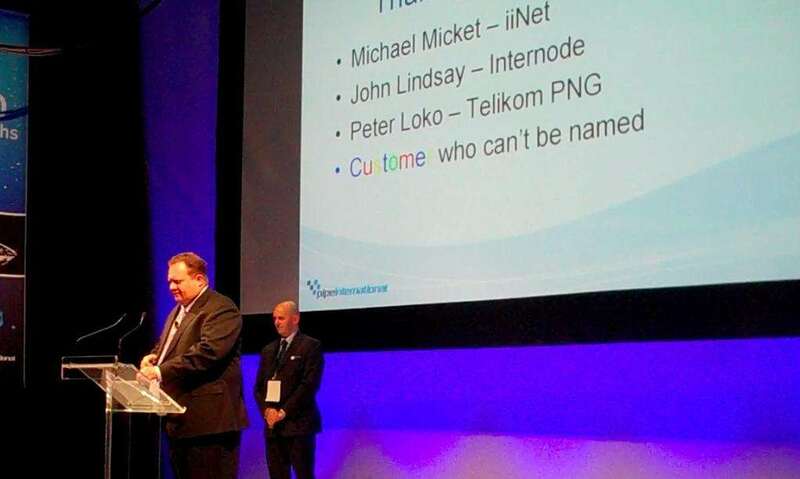 He said those customers included iiNet, Internode, Telikom PNG and a customer who couldn't be named - which iTnews understands to be Google. When asked what he would say to those who threatened him when constructing the cable, Slattery responded that "the fact that we're standing here today probably says it all". "They've either got to get with the program and look at buying capacity from us or they're actually going to have an inferior product in the market," Slattery said. He also said that those competitors that made the threats were "probably going to be customers". Video: What does Pipe's new cable mean for consumers?